To make a difference in our community through initiatives and education. The Council was formed in the summer of 2011 to direct the SPF SIG Project to address underage and adult binge drinking. Through monthly meetings, the Council, and other dedicated county members, developed assessments about out county pertaining to alcohol and our resources, formed a detailed plan of action on how to accomplish the SPF SIG goals, and maintain a continuous drive to educate the county residents of our current drinking issue. The Council has continued to work on maintaining these initiatives and has sought out other grants and programs that are beneficial in the drive to educate. As we look towards the future, the council welcomes any countywide project that needs to be brought to the attention of county residents. A community where positive decisions lead to healthy lifestyles. To find out more about events, projects, and contests going on right now; check out our calendar or quarterly newsletter!! 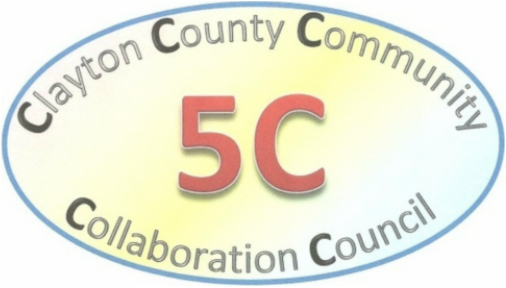 5C is a local coalition that is primarily volunteer based. We assist Substance Abuse Services for Clayton County with funded programs. Currently, we help with an underage drinking grant (IPFS) that will run through September 2019. Recently we obtained a DFC Grant that aims to decrease tobacco and alcohol use in the Clayton Ridge Communities--the long-term goal would be to take the initiatives from the DFC Grant and spread them among the other communities in Clayton County. We are also involved with the Clayton County Sheriff's Office and Monona Police Department in overseeing alcohol compliance checks through a coalition grant. We continue to look for new ideas, projects, and campaigns that will allow us to continue to reach out and educate individuals on the impact alcohol and drugs have on individuals and the community as a whole.